'To his credit, the actor is a picture of restraint and righteousness as the worldly-wise Sardar on a mission,' notes Sukanya Verma. The year is 1897 and the guidelines of a Bollywood historical insist on delaying the deed in favour of hackneyed subtext and tedious sentiment. 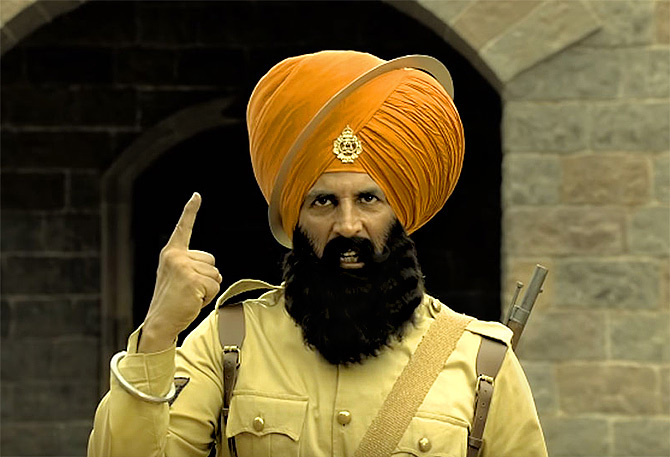 Shot against the picturesque backdrop of Spiti valley's majestic snowy mountains and craggy landscape, Kesari would be a lot more taut and short than its 150 minutes if its building up for battle revealed more strategy than shenanigans. And so no matter how much uniformity it projects, this is, ultimately, an Akshay Kumar vehicle. He even changes into a saffron turban in case you miss the point. From his gallantry when he rescues an Afghani girl from getting executed, his wounded patriotism on being humiliated by the evil British officer, his team spirit as he takes charge of the 36 Sikh regiment at Saragarhi to his secular beliefs as he builds a mosque for the local tribesmen, Kesari devotes a significant chunk of its script to brandish Akshay's might as the dauntless, magnanimous, Sardar, Havildar Ishar Singh. Anurag Singh's fictionalised take on the Battle of Saragarhi, where a small group of Sikh soldiers in the British army laid their lives down while fighting an overwhelming enemy pays rich tribute to the Sikh community, their valour and religious dogmas. There is no middle ground in Singh's black and white shades of conflict. 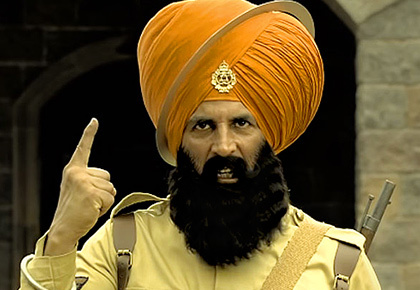 Instead, customary scenes of comedy and romance squeeze their way in until Kesari can truly take off. Parineeti Chopra, as Ishar Singh's wife, has imaginary gupshups with him and has precious little to do. But his 20 other home-sick companions at Saragarhi receive just about enough attention for us to feel bad when they fall. They know how it's going to end. You know how it's going to end. Things get down and dirty by the end. The carnage by the door, pile of corpses used to clamber atop, a wall scribbled in casualties, swords skewering man after man, the upshot is more bloody than kesari.